A stunning tell-all and takedown from a strong, intelligent woman who took every name and number, Unhinged is a must-listen for any concerned citizen. It was great to hear Omarosa narrate, but there really wasn't any new insight offered. For anyone who has followed the headlines of the day since the inauguration there was no new information. This was simply an autobiography highlighting here success and excusing her actions. I really hated the part were she used upbringing to show toughness. Take all of this for what it's worth. I don't doubt anything that Ms. Newman says, except that she had so much integrity to blow-off Clinton after a perceived slight but latched on to Trump so ferociously despite his history prior to the campaign. She has known him long enough to know that the loyalty thing is a one-way street, and I had to laugh every time she mentioned that "looking back" she should have known better. She is a product of reality television, as some would say is Trump, so her point of view is going to be distorted through those lenses. She basically admits that she wasn't as concerned with what Trump's agenda was as much as what she could get out of the ride. I wonder if we would have ever heard her story had she not been fired. "Full court press" was her primary concern and her reasoning that Trump had never said it to or about her so she wasn't concerned is why we are where we are today. They may not be saying it about you, but that they are saying it at all should be the point...and the problem. Regardless of which side you're on, it's worth listening to. Everyone's story has a piece of truth to it; taken all together, we might actually get the whole story one day. So listen to this; listen to Hillary's story; listen to Comey's story; listen to Trump's and Bannon's stories. Blend them all up and strain out the hype and what you have is probably close to truth. Grown folks acting like children with some of them needing a serious time out. I want to make it clear that I'm not a Trump supporter. 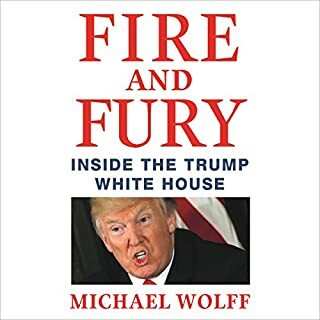 I bought this book simply to spite Trump. That said, the whole book felt like a Trojan horse with Omarosa complaining about obstacles the left put in the way of the trump presidency. Her narration is hard to get through and I can't finish the book. She reads the book like you would expect someone to narrate an American Girls Doll story. Her impression of trump is terrible and should not have even been attempted. It's just so sappy and "poor me" that I can't take it. She has no interesting insight. Anything she has to "reveal" about trump, we already know. 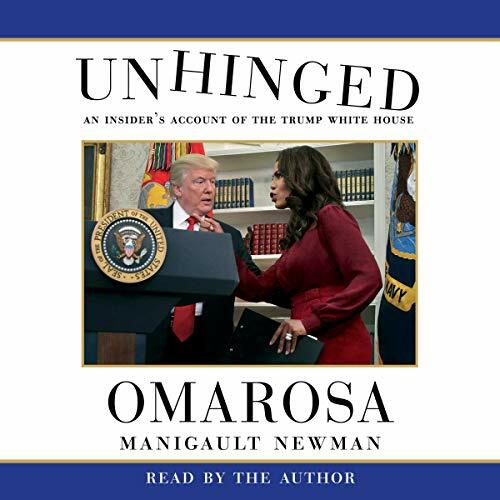 The best thing about this book is the tapes that coincide and they are being released for free in the cable news circuit so... no thanks, Omarosa. Go back to work on the Trump campaign. Nice try. First things first: I am a proud Democrat. I wanted this to be juicy reading; but, I am embarrassed to have wasted a credit on this book. The author spends far too much time on herself. Only the last few chapters are about her time in the WH. Nothing presented was new, and some was ridiculous. The fact she compared Joe Arpaio's "tent city" to concentration camps proved just how out of touch with reality the author is. I realized she had very little knowledge about anything but herself, and her reality-star opinions about everything as it pertained to herself. 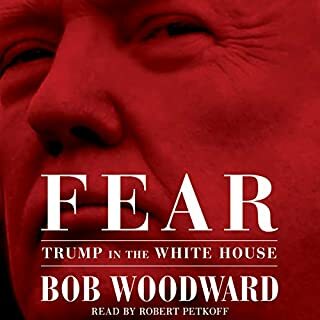 Please do yourself a favor and skip this poorly-delivered audible book. This book is complete garbage! Omarosa doesn't feel like she is being honest for a single sentence in this book. She starts off explaining how she figured out the psychology of Donald Trump so that she can win The Apprentice and then she goes on for the rest of the book trying to make us feel sorry for her acting like she didn't know the true character of the man that she was working for and through all of this trying to make us feel sorry for her. Worst, she doesn't even have the audacity to ask for forgiveness from the American people. This is the exact reason why we need professional politicians running our country and not reality TV stars. 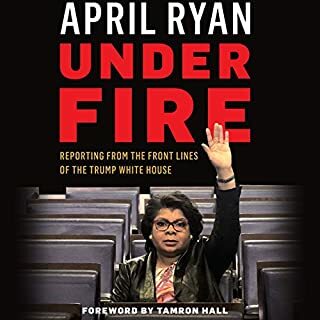 As a black man I bought this book because Omarosa is black and I was hoping she would explain why she as a black person was associated with these misogynistic anti-American racist in the Trump Administration instead I was left with the understanding that she is a opportunist that will gladly sell out her own people for political gain and personal advancement. 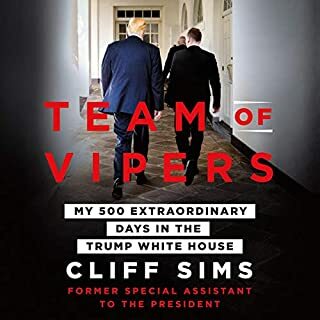 If you like Omarosa now do not read this book because you won't like her afterwards and if you don't like her and you were hoping to like her after reading this book you won't in fact you will like or even less. Omarosa’s story is about how she rose above humble difficult beginnings to become a powerhouse in her own mind in the White House. Her bitterness comes through in her complaints about how the Clinton campaign did not recognize her contributions, about how trump’s staff did not recognize her contributions and finally about how trump with the help of John Kelly betrayed her in the end. Through it all she continued to rise above and more importantly to get even with her detractors. An interesting read about a deeply flawed individual. I don't know what Omarosa is expecting or even what her intentions are in this book. She claims on talk shows that she wants no part of this being some sort of "October Surprise," but what else could it be? There's not anything new here that we didn't already know, as we have always known that trump (not capitalized on purpose) is a lying racist, misogynist and bigot. What is truly nauseating however, is how long she stuck around. I've heard her say that she was like a frog in boiling water, but come on now. Time after time after time, she appears to now recognize (in hindsight), but really, she actually recognized it while it was happening, yet she remained in the cult of trump. She settled a major lawsuit against the National Enquirer (spoiler alert) and took an offer from trump to advance her career while also doing him yet another "favor." But it just gets worse and worse as her denial remains so strong with each misstep the administration makes. She announces on TV now, over and over, her admission of being complicit. Great, but really lady? REALLY? How can someone apparently be so smart be so very stupid. Money talks and bullsh*t walks. Keep on walking, lady. This book is a lot of I,me,I did. Basically Trump is crazy! She’s taken her “unhinged “ self to a whole new level. She is the most Holy than thou person I have ever hear, read, or met. Recommendation don’t waste money or your points on this diatribe of nonsense. 1. Her vocal impression of Trump should never have made it past the editor. It was just plain awful. 2. In spite of her attempt to have us believe she was planning on leaving, seems awful convenient that 1st we hear that Omarosa has all of these epiphanies, is after she is fired & needs to cash in. 3. Though a tad more humble than usual, she failed to own much of her own bad behavior. 4. The author is many things. dumb isn't one of them. She knew from the get-go what Trump was about and she looked aside. She wants to be the she-ro with her clandestine recordings, etc. She is not. 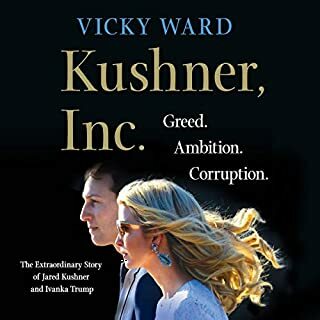 She duped a lot of people into supporting a man she knew to be corrupt. She championed the corruption & exacerbated it. 5. it was a worthy attempt to save face, but in the end...its still all about herself. I wouldn't be surprised if this wasn't a planned effort w/Trump to validate medical cause for him to bow out.